When getting started with Cryptohopper, you’ll come to find that unless you’re using the Marketplace, you’ll need to know a few more things about trading. Every strategic decision you make needs to be in touch with the market, every coin you choose needs to be worth it- your success depends on it. If you decide to take the wheel (and not simply buy a proven strategy from the marketplace), you need to know from where you can access relevant market data. The internet has thousands of websites to choose from so we have listed 5 tabs every pro trader should have open on their browser while trading. The first vital page you really need to have open is Tradingview. 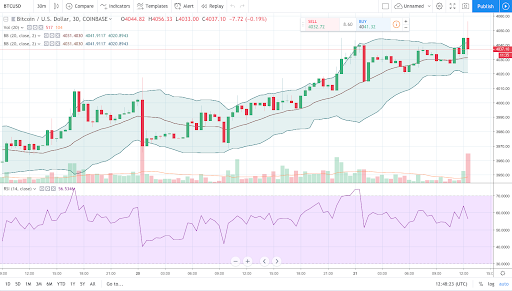 Tradingview is one of the leading marketing information and insights websites, allowing every trader to select any market or asset, find market analysis, and apply any given indicator. Most importantly for your trading, you can view the chart of your favorite trading pair and find the exact thresholds for the technical analysis that you will feed to your hopper. To do this just search the trading pair and hit the full featured trading chart. From then on, just view each indicator against the chart and see exactly where the indicator would send a buy or sell order; once you’ve found the best thresholds copy and paste the settings in your strategy builder. Get into the habit of doing this at least once a day to ensure your hopper remains attuned to market conditions. 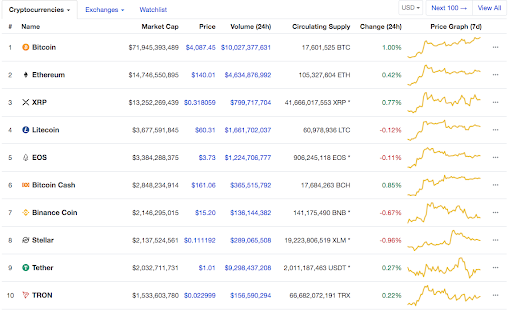 Coinmarketcap is the largest cryptocurrency site by traffic, and really is the one-stop place to go to find out how coins have been performing. On the dashboard you can conveniently view a top 100 list of the best performing coins and pinpoint which coins are increasing or decreasing in volume or supply. This is a very reliable tool when trading altcoins and something you should always use when selecting your list of allowed coins in your configuration settings on Cryptohopper. Social media is a fundamental part of trading, especially in the world of cryptocurrencies. In the few years that cryptocurrencies gained popularity, a number of influencers have emerged with recognized expertise in their fields. With the novelty of the technology behind many altcoins, and their potential to disrupt the sectors that they are hoping to innovate, it is clear that they are still in the early stages of achieving real world adoption. For that reason, cryptocurrencies are characteristically volatile and can be greatly impacted by the social media activities of recognized Influencers, where a single tweet can have the power to skyrocket a cryptocurrency or cause it’s demise. 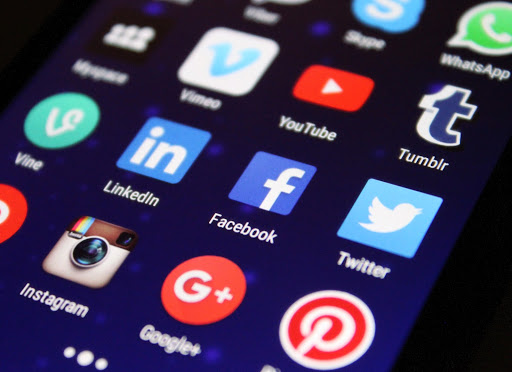 Not since the days of the dot-com boom and its rockstar tech analysts have we seen such influence - to ensure that you do not fall behind the trends, it’s important to embed yourself in every social media whether it be Twitter, Facebook or even Youtube. Make sure that you’ve got Twitter open, discord groups buzzing and soak in the trends as much as possible.True traders know who’s worth listening to, and often use that insight to inform their strategies. Find influencers/traders that have shown promise, have market recognition and make sure you reflect on what they say, there’s a chance it could save your strategy. Telegram is a messenger application that focuses on speed and security. The app allows you to share messages, photos or files with people or create groups of up to 200,000 people to share your knowledge. Telegram is very well known in the cryptocurrency trading space. It’s one of the main places where cryptogroups communicate about their everyday trading, where investment tips are shared and responded to in real time. Rather than only hearing what the influencer has to say, listen to what the community as a whole thinks and find out how other people are trading and what settings they might be using. 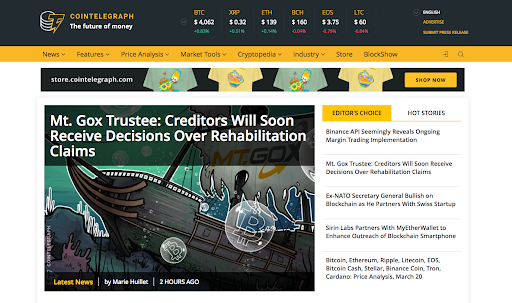 The final important research tool that every trader must know are the crypto news sites. These are sites which can attract up to 10 million unique users, provide up-to-date cryptocurrency news on both the individual currencies and overall crypto market, and often provide in-depth market analysis done by professional traders. They also often provide tutorials and guides on how to improve your trading. That’s it for our top 5 tabs that all pro traders have open while they’re hopping. If you haven't heard of some of these websites, check them out! Find out how these websites can provide the market data and insight that might help you with your Hopper’s configuration.